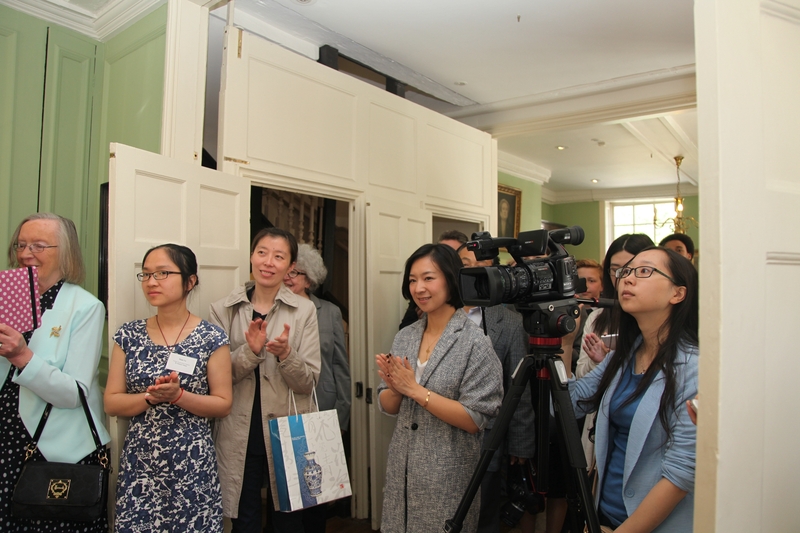 It is a real pleasure for us to witness the launch of the Chinese language audio tour of Dr. Johnson’s House. I also wish to congratulate Lord Harmsworth and his family for their inspired initiative of preserving Dr. Johnson’s House. I understand that back in 1911 the Harmsworth family took steps to preserve this historic house where Dr. Johnson created his famous dictionary. “Great works are performed not by strength but by perseverance”. · And its contribution to the development of the English language cannot be overstated. English went on to become a ‘world language’. The significance of the Dictionary is only one of many contributions to Dr. Johnson’s fame and the public interest in him over the years. I believe that man of Dr. Johnson’s disposition would have loved to learn of his immense influence after he died. His friend Boswell mentioned a number of times that he always enjoyed praise. 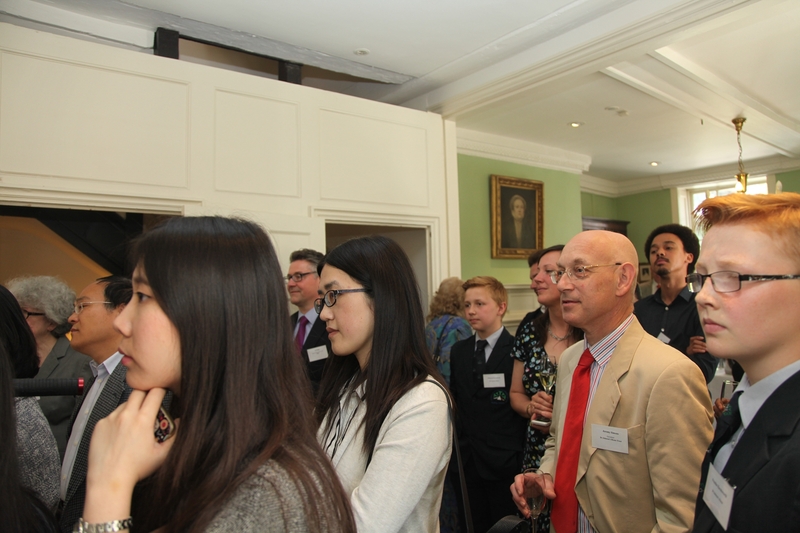 The launch of the Chinese language audio tour clearly shows that Dr. Johnson’s House Trust values Chinese visitors. Every year about 230,000 Chinese tourists visit the UK. And the numbers are increasing. Among these Chinese tourists are fans of English literature, history and language. For them an obvious place to visit is Dr. Johnson’s House. The Chinese audio tour will help them get over the language barrier. This will allow them to appreciate more directly, vividly and comprehensively what they will see here. In this way they can gain a deep appreciation of the life and accomplishments of Dr. Johnson. He was truly a man of very great eminence in English literature as well as the British history and culture. 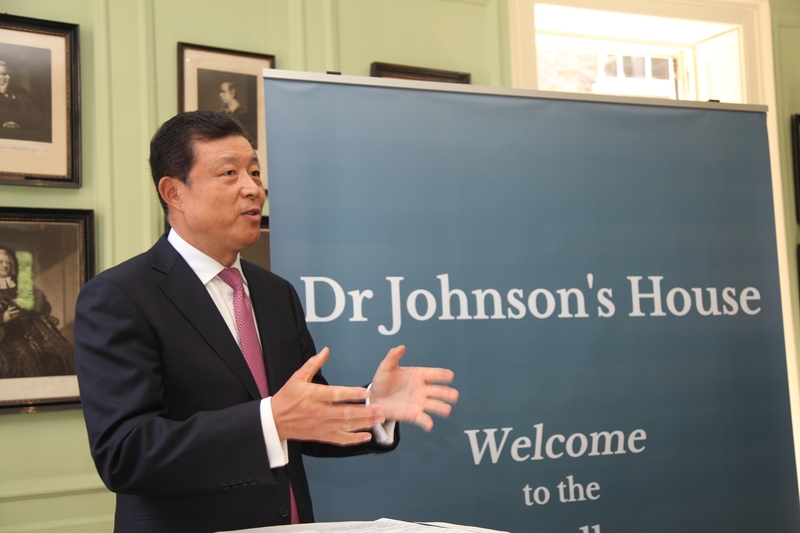 Last year, Professor Cheng Hong, wife of Chinese Premier Li Keqiang, paid a visit to Dr. Johnson’s House while accompanying her husband on a trip to the UK. She has followed closely the progress of this Chinese audio tour project. Here, I am most honoured to convey her congratulations on the official launch of the Dr. Johnson’s House Chinese audio tour. · Sharing and appreciating each other’s culture will enhance mutual understanding and recognition between the people of our countries. Today’s launch of Chinese language audio tour of Dr. Johnson’s House will further enable that sharing. It will add one more brick to the edifice of China-UK friendship. It is a highly acclaimed achievement in China-UK cultural exchange.